As a community-oriented bank, the Bank offers a wide array of personal, consumer and commercial services generally offered by a locally-managed, independently-operated bank. The Bank provides a broad range of deposit instruments and general banking services, including checking, savings, and money market accounts; certificate of deposit for both business and personal accounts; telebanking (banking by phone); and courier services. 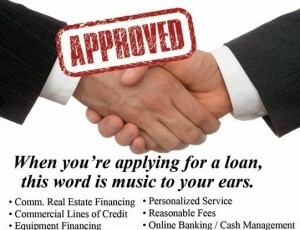 The Bank also provides a wide variety of lending products for both businesses and consumers. Commercial loan products include lines of credit, letters of credit, term loans and equipment loans, commercial real estate loans, accounts receivable financing, factoring, equipment leasing and other working capital financing. Financing products for individuals include auto, home equity and home improvement lines of credit, personal lines of credit and MasterCard debit cards. Real estate loan products include construction loans, lot loans, residential real estate brokerage, commercial real estate conduit sales, mini-perm commercial real estates and home mortgages. Chino Commercial Bank’s deposit accounts are insured under the Federal Deposit Insurance Act up to applicable limits. The Bank is subject to periodic examinations of its operations and compliance by the Office of the Comptroller of the Currency. The Bank is a member of the Federal Reserve System and a member of the Federal Home Loan Bank. Chino Commercial Bank, N.A. is a national bank organized under the laws of the United States, which was organized on December 8, 1999 and commenced operations on September 1, 2000. The Bank operates four full-service banking offices in Chino, CA, Ontario, CA, Rancho Cucamonga, CA and Upland, CA. The Bank’s main office and administrative offices are located at 14245 Pipeline Ave., Chino, California. We can be reached at (909) 393-8880, (909) 230-7600 or (909) 204-7300.